When you shop for a new credit card, there may be several deciding factors. You may want a card with specific types of rewards, or you may want the lowest interest rate. But how will you know which card to select if the applications aren't clear and transparent, presenting the positives and negatives in plain language? That's why personal finance site WalletHub compiles an annual study of the credit cards with the clearest applications. The study evaluated online credit card listings from the websites of the 10 largest banks and 10 biggest credit unions. The sites were judged on how clearly they spelled out important information. Can you understand the rewards program? For example, the applications were judged on how clearly they presented information about rewards and how a consumer could redeem them. It looked at how prominently information about an annual fee was displayed. Could the average consumer, the authors asked, figure out the annual cost of financing new purchases using an introductory rate? How was information about balance transfers presented? On the plus side, the study gave high marks to Capital One, U.S. Bank, Bank of America, State Employees Credit Union, Boeing Employees Credit Union, Pentagon Federal Credit Union, and Navy Federal Credit Union. On the other hand, the authors said Wells Fargo and San Diego County Credit Union finish at the bottom when it comes to clean, transparent credit apps. Navy Federal Credit Union took the honors for most improved application. The study found Navy Federal's online credit card listings improved 18 points over last year. It credits the improvement to new-purchase and balance-transfer financing clarity. While credit unions have the reputation for being more consumer friendly than banks, the WalletHub study found banks stepped up their game in 2016 and are now about as transparent with their credit card applications as credit unions. The area where financial institutions are most vague tends to be about balance transfer fees and how cardholders go about using rewards. It's important for consumers to remember that most cards that offer a 0% introductory rate for balance transfers usually charge a 3% fee to transfer a balance. When considering one of these cards, consumers should look for that information, and if the financial institution has a clear application, that fee should be readily apparent. The good news? 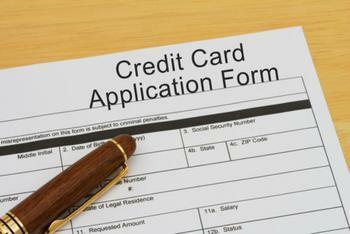 WalletHub says banks and credit unions continue to improve their applications. It says transparency is now at its highest point since the annual study began in 2010.